The essence of the constant, careful and zealous work which has always been our distinguishing feature. 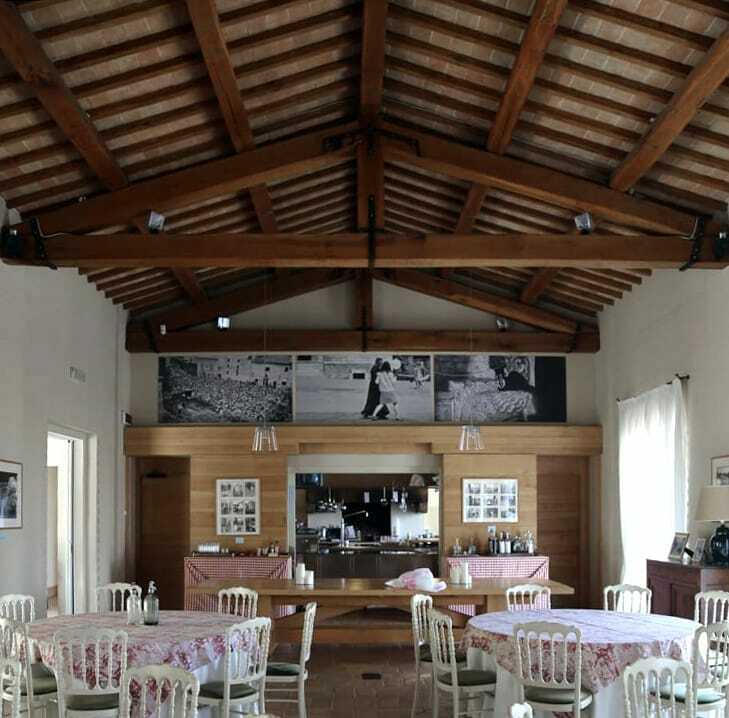 Frantoio del Poggiolo is the multi-function center where an important part of our work takes place: on one hand we have worked hard to achieve superior quality extra-virgin olive oil and, on the other, to spread the word. In 2001 we felt the need to safeguard raw material origin by means of analysis and checks on all production chain parameters: cultivar selection, harvest and working method optimization and pressing. It is a selection task which we perform with great dedication for the purposes of obtaining a top quality product to put our name to. 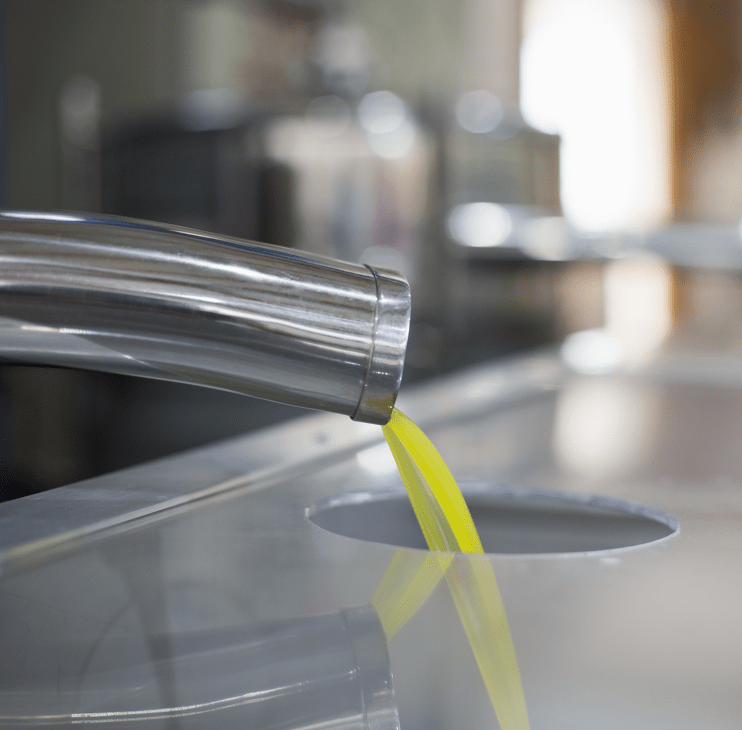 Disseminating extra-virgin olive oil culture has always been our objective. For this reason the olive press opens the doors to olive oil lovers and gourmets wanting to find out more about the secrets of olive oil and the best cultivation techniques. Meetings, conferences, workshops and cooking courses create opportunities to find out more with famous chefs from a range of countries. 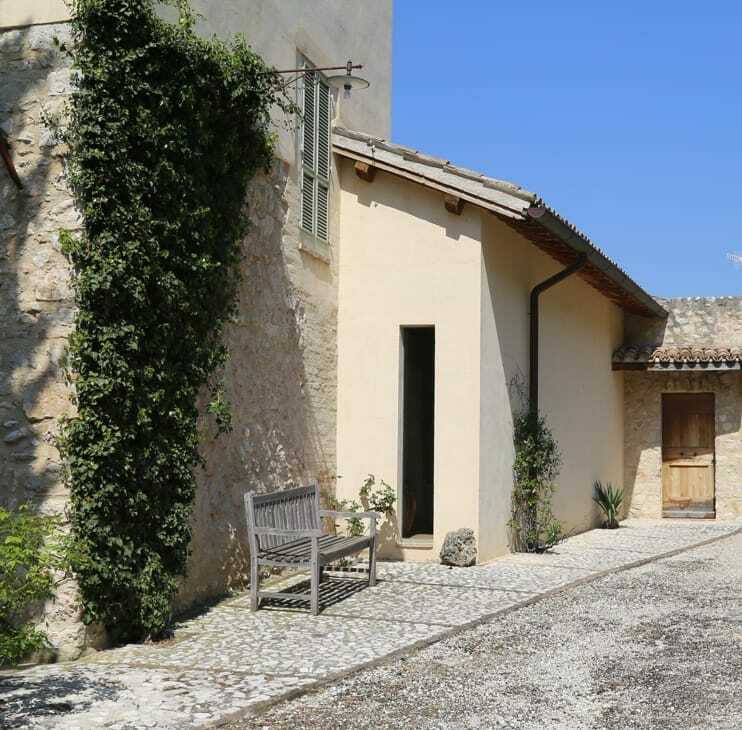 Half way up a hill in the midst of olive groves, it is a place in which modern agricultural machinery meets elegant residential spaces which welcome seminar and conference participants. It is the harmony with which the various elements and building materials have been combined which generates the building’s cozy, sophisticated and natural atmosphere. 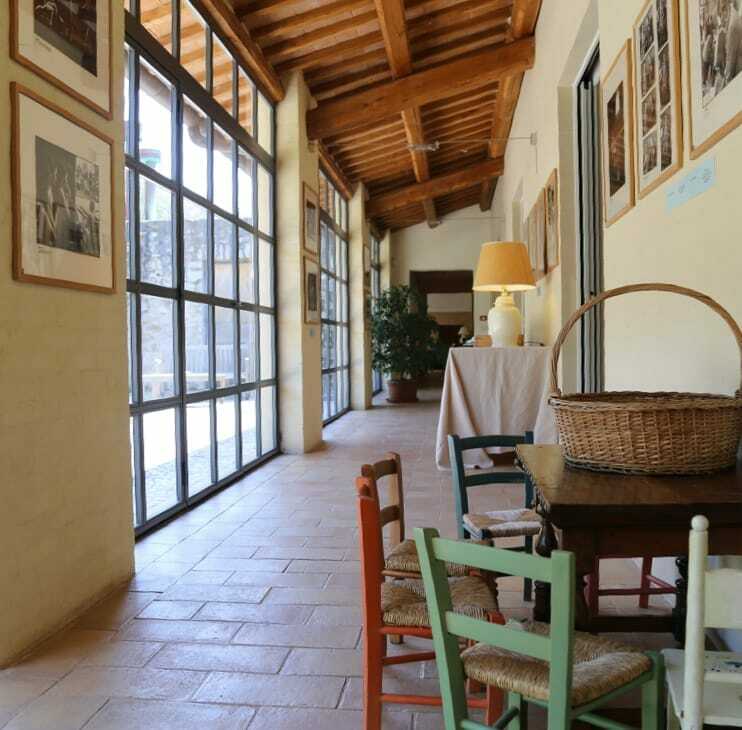 On the ground floor is the olive press for milling, the portico for olive unloading and other agricultural spaces. The first floor is the residential area with ceiling trusses, wooden beams, terracotta floors, lime-washed plastered walls, art nouveau balustrades and glass lampshades. The welcoming entrance hall leads through to a small wooden library packed with books on olive growing and production techniques. Continuing along the corridor leads to a large modern kitchen which opens up into a living room like a great stage, the source of inspiration for the culinary creations which our chef makes with the products of the olive press. Guests stay in the guest house’s seven rooms with private bath furnished to match the elegance of its other rooms. Frantoio del Poggiolo is set on three hills dominating the Spoleto valley in forty hectares of agricultural land planted with olive groves. This is the site of our olive grove with its 5,500 historic olive trees and a further 1500 new trees distributed across around twenty-five hectares. The varieties we have chosen – some native, some imported – enable us to study every growing, harvest and working variable and phase. 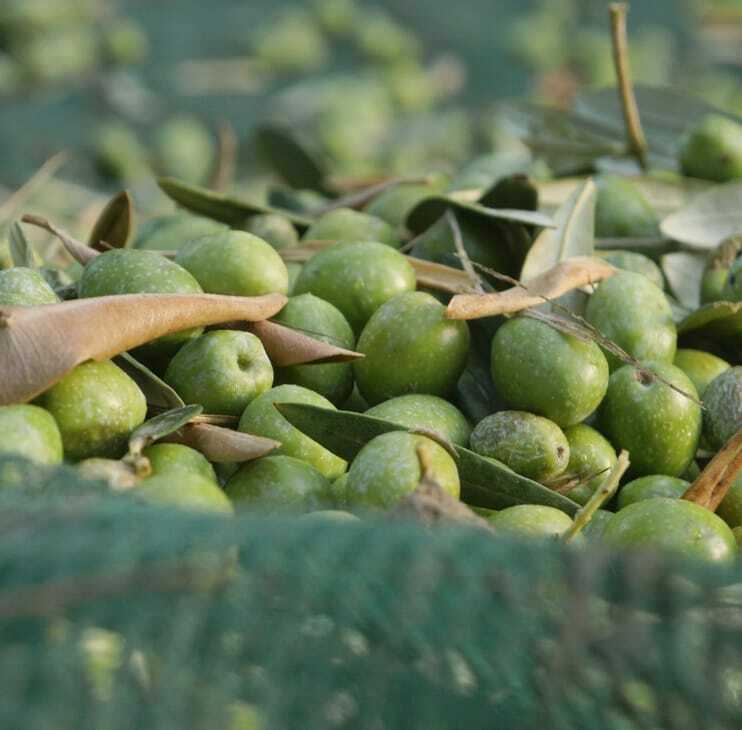 Approximately 80% of our olives are Moraiolo, an almost exclusively Umbrian variety which is a distinguishing characteristic of the Assisi-Spoleto oil blends. A further 12% is Frantoio, and 4.5% Leccino, two noble cultivars characteristic of central Italy with 3.5% being made up of other varieties. 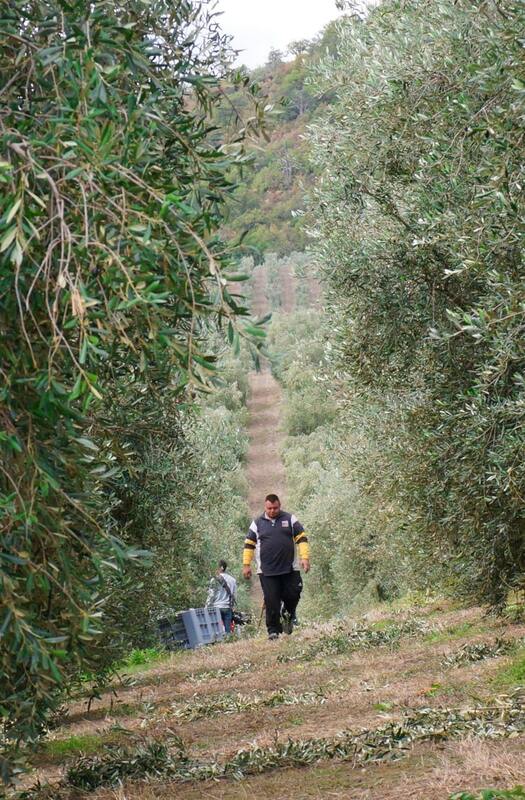 Of equal importance to our work is the avant-garde machinery we need for the next stages of olive growing. 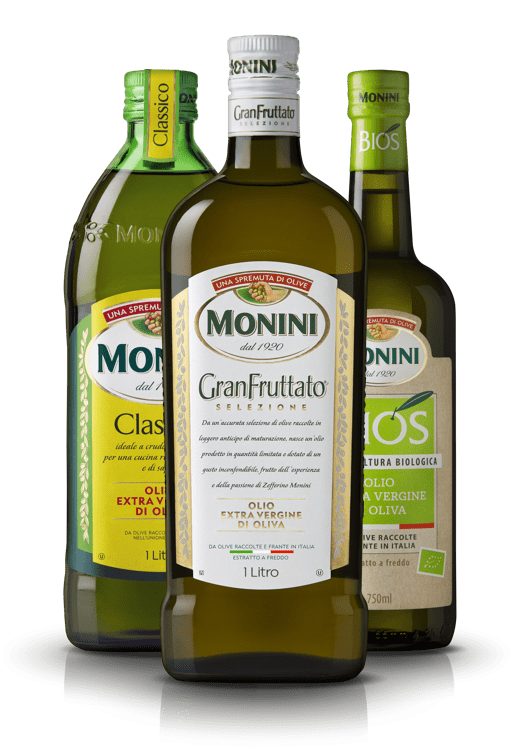 Frantoio del Poggio is an absolutely top quality center with technologies guaranteeing high performance also for the working of our niche products including Novello, an unfiltered extra-virgin olive oil produced every year in tiny quantities. Balancing the extra-virgin aromas and giving it a noble flavor means choosing the right cultivars. Each cultivar has its own characteristics and every year the climate, soil consistency and season make for different yields and quality with a more pungent or intense flavor. 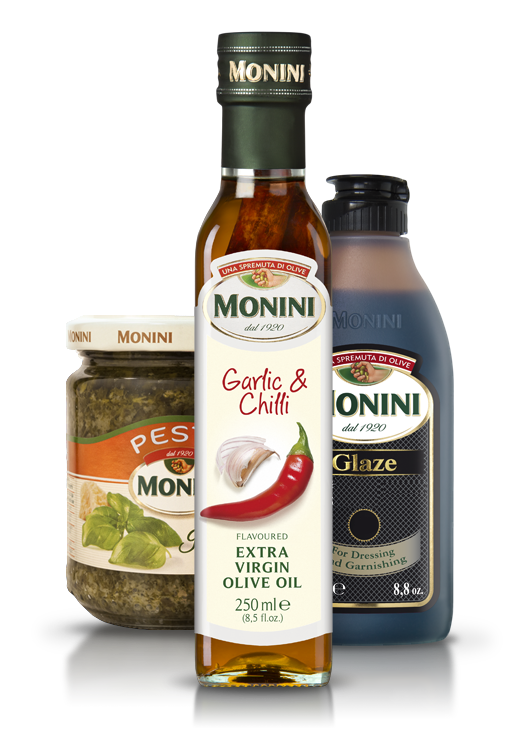 The ideal blend is a matter of recipes capable of expertly combining the best oils in a given vintage. Quality is not simply a matter of good raw materials but also of knowledge of the correct procedures without neglecting elements such as harvest period and methods and storage length, form and place which can impact on the taste of the end product. Water quantities and different working time frames are decided on the basis of olive type, cultivar and seasonal weather conditions.